Part Number BMONSTER395 is the strongest 395 NM black light in hand held flashlight form. Do Not Forget The Batteries! Need 4 x 18650 Sold Here! The BMONSTER-395 is the strongest 395 NM black light on the market for its size. This black light ultra violet flashlight is designed using powerful long wave UV output. Don't settle for cheap LED's that give lots of blue and purple light noise. With our high quality LED's you can see all the items below plus more. Risk Reactor Inc. is dedicated to innovating the superior black lights for finding Scorpions. Being in a desert environment, we understand what makes scorpions fluoresce. The battle between home owners and the arachnid invasion is ongoing. Protect yourself from these poisonous and dangerous arachnids. Scorpions have been on Earth almost since the beginning, well documented in the fossil record. Man has been battling to keep his environment safe and now we finally can. Use any of our 395 NM black lights with the BMONSTER-395 being the most powerful UV Scorpion Light on the market. Sure there are cheap ones but if you want a lot of energy in a quality casing, use our blue monster BMONSTER-395. When you can find the scorpions you can remove them before they cause any problems, especially for young children and pets. Scorpions tend to come out at night which is a defensive mechanism. The arachnids think they cannot be seen under the darkness and are therefore safe to scavenge for resources. Since the cuticle of the Scorpions glow under Risk Reactor Inc.’s black lights they now can be spotted first. Scorpion also reproduce fast so frequent checking is important to safely be rid of the pest. Hunt scorpions like a pro, use the BMONSTER395 to light up the night with UV Energy! Urine Stain Detection on any surface using the BMONSTER-395. Lights up the whole room instantly. Bugs, Arachnids, and Insect Detection such as scorpions and millipedes Minerals and Gems. Fluorite, calcite, gypsum, ruby, talc, opal, agate, quartz, and amber have fluorescent properties. Minerals and gemstones are most commonly made fluorescent due to the presence of impurities. ID Cards and Driver Licenses. Automobile Air Condition Fluid Leaking (Freon). Forensic Investigations inside and outside. Pest inspections perfect for carpet cleaners to see invisible pet stains. Antique Identification, many items fluoresce and the ones that do not you can still use the black lights to see imperfections and rework. There are a lot of things that fluoresce but not all can sting you. Scorpions do fluoresce (or glow) under ultraviolet light, such as our BLUEMONSTER-395 or SUPERTAC-395. We have a full line of 395 NM black lights which work best for seeing scorpions. The aqua glowing color comes from a fluorescent reactive compounds that are found in the scorpion’s exoskeleton. This effect is what you use to protect yourself and family. This super strong utlra violet light tool kicks out major energy and use with one of our UV glasses if you are going to be using this daily. The glasses also enhance the visual inspection by filtering light noise. The BLUE MONSTER 395 nm super UV flash light is the master of all black lights. Waterproof, but don't put it into water long time Hard-Anodized finish; Anti-abrasive, free-scratch, shock-proof. This unit emits a lot of energy. As with all LEDs and any flashlight never point in the eyes or reflective surfaces. Use our UV Safety Glasses for long term or daily use. The glasses also enhance the visual inspection by filtering light noise. UV Scorpion Hunting Black Lights. 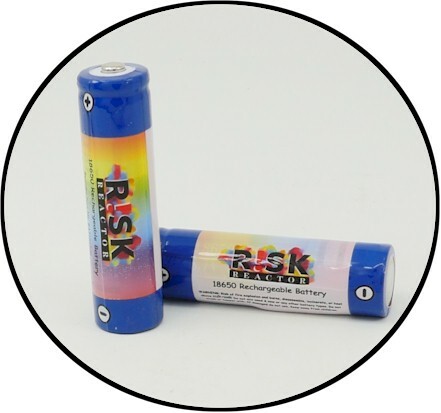 BMONSTER 395 Black Light Rechargeable UV Batteries.